The ancient city of "Rithymna" flourished in the 4th and 3rd century BC, considering the discovered gold and silver coins of this period. However, the city''s glory gradually wore off, until it became a common village during the Roman Period. After the end of the 4th Crusade (1204), Crete was assigned to Vonifation the Momferatiko, who sold it almost immediately to the Venetians. After a short period of Genoan occupation on the island, due to the Venetian delay to settle in the island, the latter finally occupy Crete in 1211. The Venetians soon realized the geographical importance of Rethymno, since its port was a mercantile marine transit area, where large quantities of merchandise circulated. In 1540, due to the city''s expansion beyond the settlement of Castell Vecchio and to the Turkish threat that approached, the Venetian authorities decided to re-fortify the city. The weaknesses of the new fortifications became evident in 1571, when the pirates of Ouloutz-Ali entered the city with little effort and destroyed it, burning it completely. Two years later, in 1573, the "Fortezza" fortress was built on the hill of "Paleokastro", an improved fortification that would better protect the city from invasions and sieges. In 1897, the Great Powers decided to occupy the island. Rethymno was occupied by the Russian army, which departed in 1907. In 1908, Crete profited from the international political developments and demanded its unification with Greece. The demand was satisfied in 1913, when Crete was finally unified with Greece by the treaty of London after the end of the Balkan wars. In 1924, the Turkish Cretans departed and settled in Asia Minor in the framework of the Lausanne Treaty, which declared the population exchange between Greece and Turkey. Greek refugees from Asia Minor took their place. 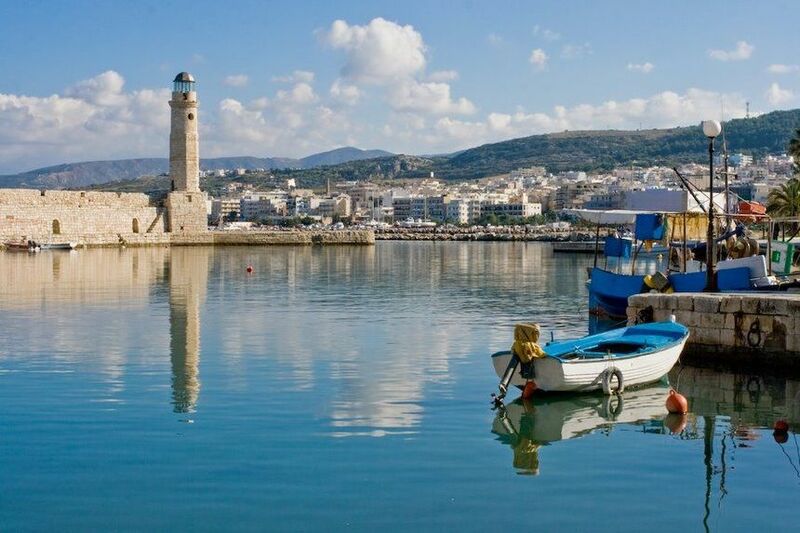 During the 2nd World War Rethymno was bombed by the Germans and many buildings were destroyed. After the end of the war, poverty and bad living conditions forced many Rethymnians to move in Athens or abroad, in search of a better future. Today, with the aid of tourist development, Rethymno''s old city flourished once again and attracts visitors from all over the world. The Municipality of Rethymno (Greek: Δήμος Ρεθύμνης) is a municipality in the Rethymno of the region of Crete established by Kallikratis reform. 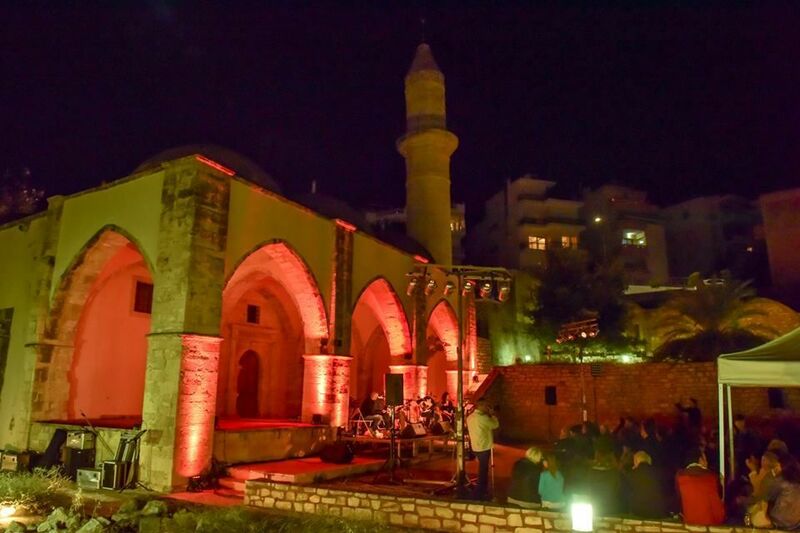 It consists of the unification of the pre-existing municipalities Arkadi, Lappa, Rethymno and Nikiforos Fokas of Rethymno Prefecture. The extent of the new municipality is 396.256 km2, and it had a population of 55,525 inhabitants at the 2011 census. The seat of the new municipality is the town Rethymno. The tertiary sector is the driving force of the local economy of the Municipality of Rethymno, creating and disseminating income and employment, absorbing 77% of the employed population with a peak in the tourism industry. It follows, with great variance, the secondary sector (16%), while the primary sector (7%) is very small. (El.Stat. 2011). The most dynamic sector of economic activity is the one focusing on catering services, 21,09% of employees. High employment rates are recorded in the wholesale and retail trade (16,63%) and education (10,48%) because of the University of Crete located partially in Rethymno. The agriculture, forestry and fishing sector has been lowering over time, with the percentage of workers around 6.85%. The sectors with the lowest growth are transport - storage, administrative - support activities, health and social care. It is one of the best-preserved towns of the Renaissance. Lying in the heart of modern Rethymno, it combines the oriental features of the Turkish period with Renaissance-style Venetian architecture. Today, the most touristy area is the old harbor, rimmed with pricey seafood restaurants, which is especially enchanting in the evening. 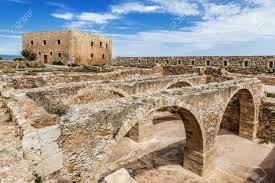 The Fortezza Castle is the citadel of the city of Rethymno in Crete, Greece. It was built by the Venetians in the 16th century, and was captured by the Ottomans in 1646. By the early 20th century, many houses were built within the citadel. These were demolished after World War II, leaving only a few historic buildings within the Fortezza. Today, the citadel is in good condition and is open to the public. There's also a small open-air theater, which hosts concerts in summer. The Orthodox Church played an important role in liberating Greece from Turkish occupation. Set amid the rural foothills of Psiloritis (Mount Idi), 23 kilometers southeast of Réthymnon, this fortress-like 16th-century monastery is surrounded by high stone walls. Today, it's a wonderfully peaceful place, with a delightful Baroque church and a rose garden, but it has not always been so. 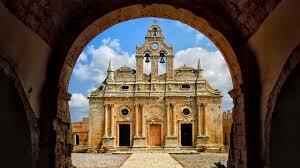 In 1866, the monastery became the central meeting place for Cretan revolutionaries, with the Abbot as chairman. During an uprising against the Turks, some 900 locals (mainly women and children), who had taken refuge here, chose to blow themselves up rather than surrender. Outside the monastery, their skulls are displayed in glass cabinets, as a haunting monument to their bravery. 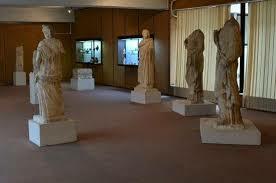 The Museum of ancient Eleutherna - Homer in Crete, the first archaeological site museum in Crete, although smaller in size, is similar to those of Olympia, Delphi, and Vergina. The museum was created to house the results of the excavations carried out for thirty years in the ancient city of Eleutherna. The originality of this museum is that the objects of the permanent exhibition will be updated periodically with new and older finds, so that the public's interest is continuous and relates to the discoveries and expansion of the excavation work on the site.